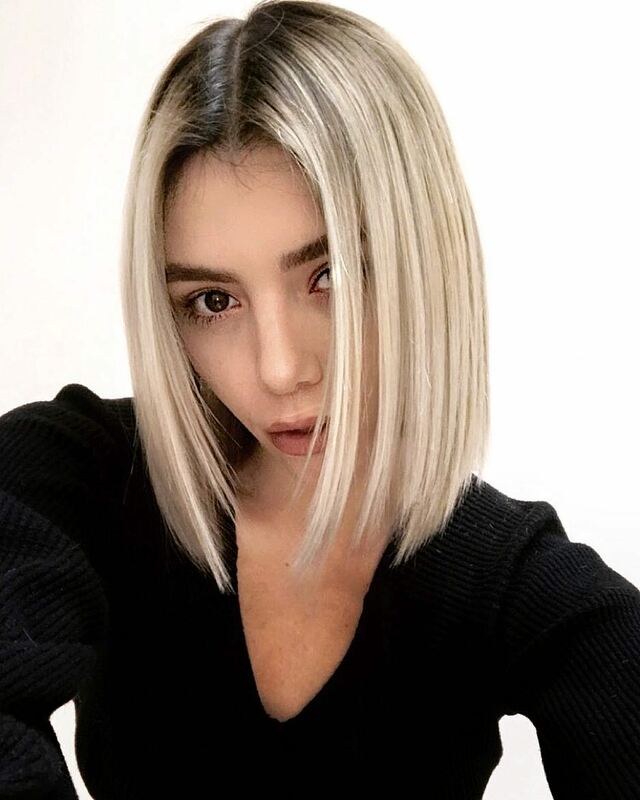 Simple blunt bob hairstyles are the answer to having a trendy, flattering hairstyle that doesn’t need lots of styling-time. 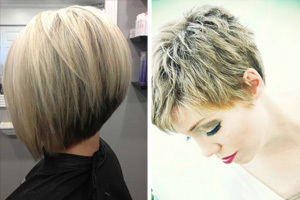 And a simple bob is the perfect vehicle for an exciting, new hair-color, which can take years off your face! So if you’re ready for a seasonal update, take a look at these cute new bobs! The chin-length bob is always a popular makeover style. And this is because it can be cut to flatter all face shapes and hair textures. In particular, fine hair can be made to look much thicker if you lighten it. This happens as a result of the chemicals used in the process. 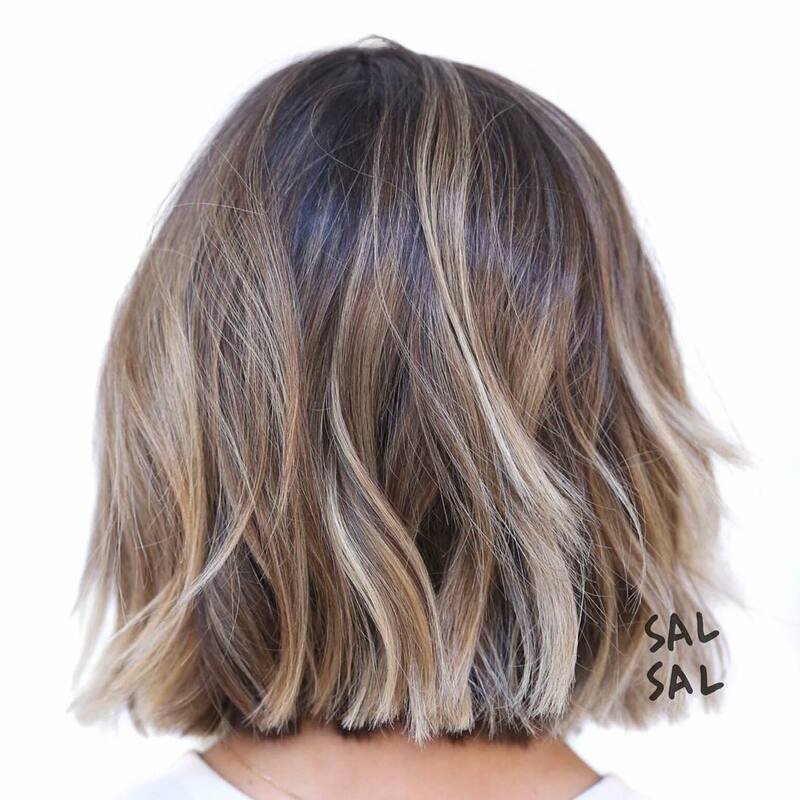 So if you want the look and feel of thicker hair, this casual bob with long layers may be a great idea! If your fashion style is super-smart, it makes sense to set off your look with a simple bob hairstyle. 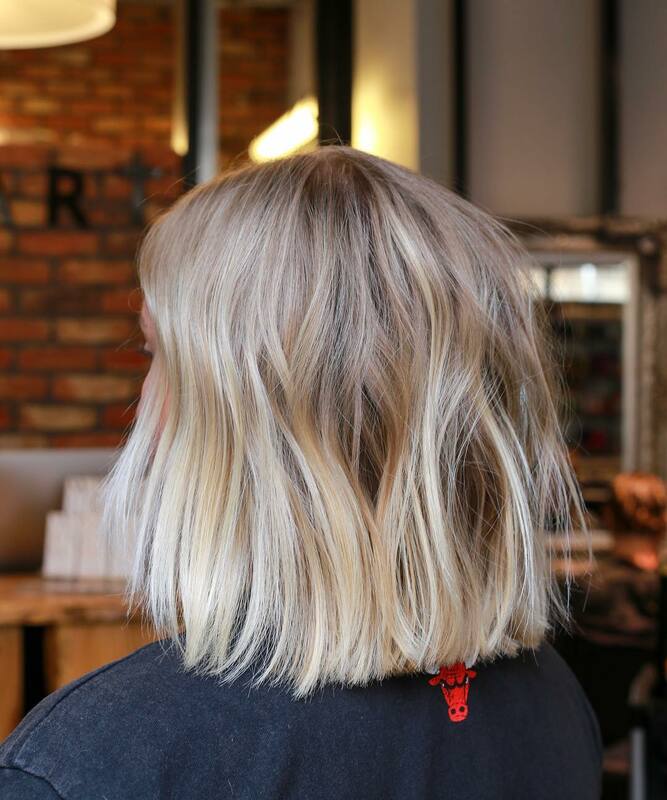 This simple, wheat-blonde bob is a good length for fine hair, as it’s not so long as to appear thin and straggly. But you still have long layers that can be worn up and down. This centre-part blunt bob suits oval faces. And lovely Canary-yellow ombré adds just the right touch of trend-setting panache! 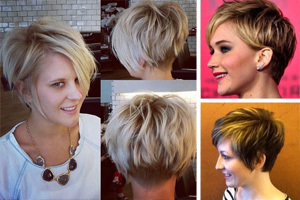 This trendy bob haircut is an everyday hairstyle that will always show your high-fashion style. The steep graduation moves from above the nape to just below chin-level. And the long layers are cut with textured tips and uneven ends, creating a fabulous angular profile. The casual, tousled texture is warmly highlighted in honey and caramel vertical highlights! 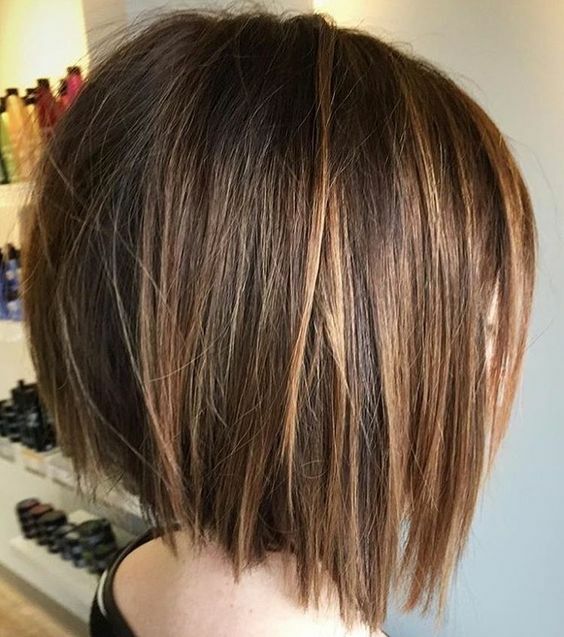 This blunt-edge bob haircut is designed for fine or medium hair textures. The long layers and same-length bottom edge keep all of the natural density of the hair. 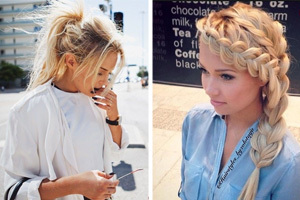 And to create the illusion of thicker hair, several fashionable blonde shades create 3-D dimension. Finally, the defined strand styling shows the darker roots beneath pretty caramel, gold, beige and white balayage! Here’s another easy-care haircut with blunt ends designed for fine hair. The bottom line has a slight downward slant ending in longer layers just above the collar-bone. And being almost the same-length all around, creates a chunky, square shape that adds a solid look. 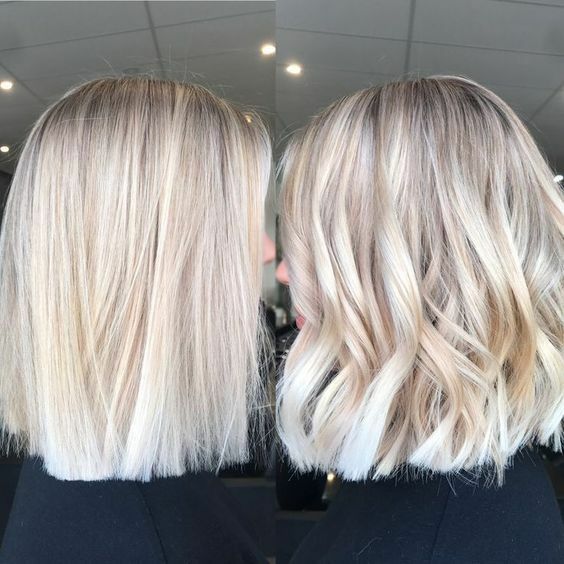 The gorgeous shades of beige blonde with white balayage and tips, create extra texture to a lovely, natural blonde look! 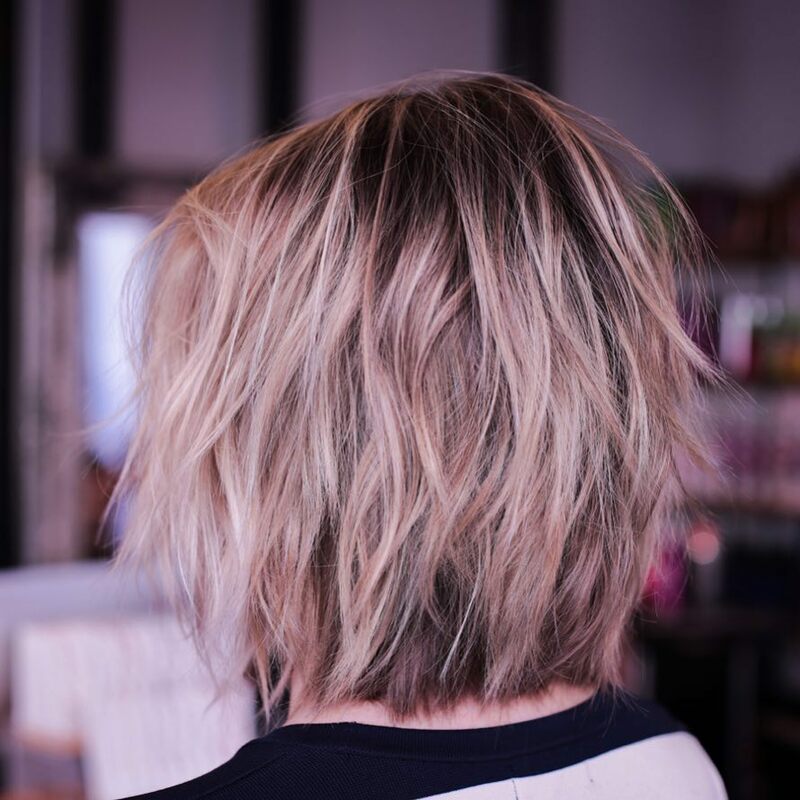 This high-fashion, mid-length bob has ultra-blunt tips in a strict straight line. And along with the pale-beige hair color and white tips, this emphasises the futuristic look of an eye-catching hairstyle. You can wear the haircut completely straight for an easycare, chic look every day. 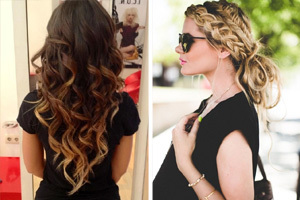 And just add thick, bendy waves above straight tips for extra texture and volume for social events! This is a classic bob haircut, that pops up with a new twist for each new season. The center-part flatters an oval face-shape, and shorter layers around the face soften the line. Naturally dark-blonde roots contrast with a natural wheat-blonde shade that catches lots of light! Degraded tips and careful styling add plenty of interesting texture. 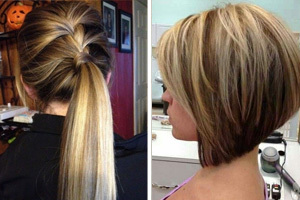 If you have fine hair you can get the illusion of thicker hair with a multi-layered medium bob like this. 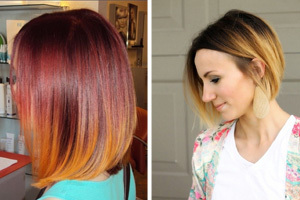 The warm brown roots contrast and tone with faded-pink blonde. Messy layers stick out slightly to increase the volume. And this shows-off the brown roots and along with fine, white balayage creates a soft and feminine 3-D hairdo! 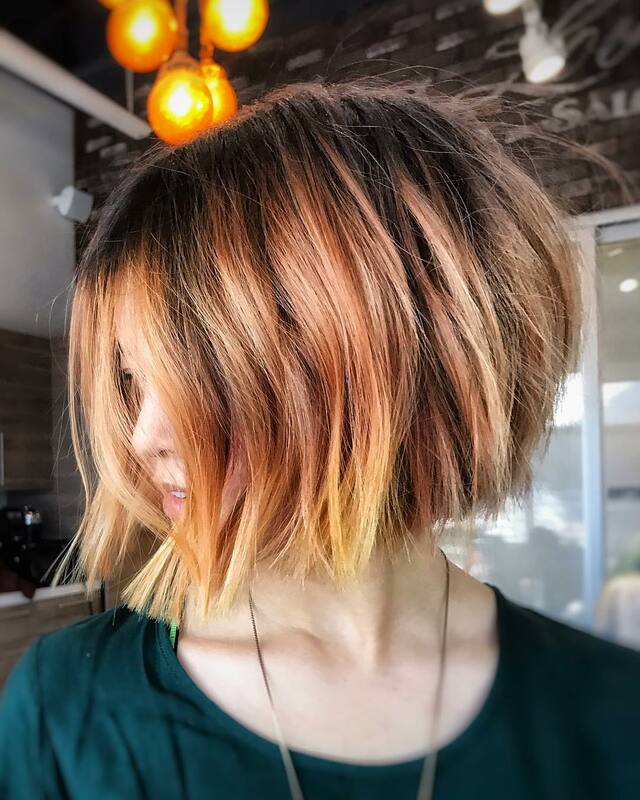 Inspired by the brilliant orange and yellow electric lights of the salon, this blunt-cut bob is perfect for thick hair. The profile is strong, with a lovely bouffant curve at the back. And the center-part creates cute face-framing waves that finish in squared-off ends just past the chin. It’s an eye-catching look using copper-blonde and medium-beige with sassy yellow tips! The straight-cut nape makes a big change from the V-shaped nape of previously fashionable bob haircuts. It creates a broader silhouette that gives your whole hairstyle more volume. This bob has a few layers cut above the blunt ends for added texture and height. 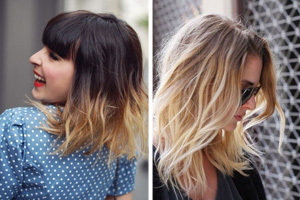 And multiple blonde balayage in soft caramel and bright oat-blonde give the hair lots of lively movement! 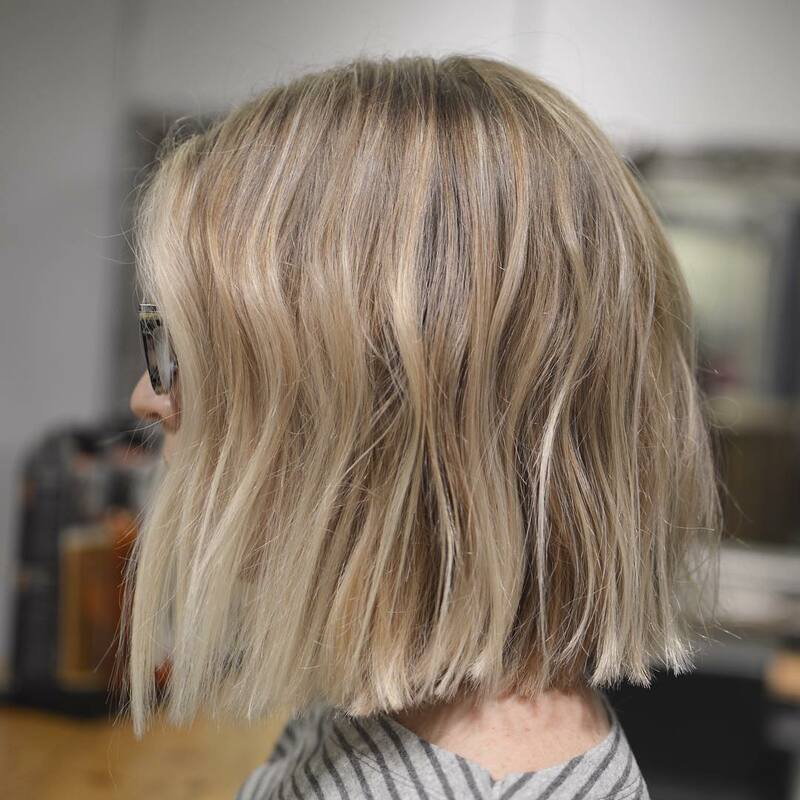 These bobs show how to add more volume, texture and thickness to fine hair. And there’s a simple blunt bob hairstyle to suit every face-shape and age-group – no wonder they’re so popular!